As a node of the Avian Knowledge Network (AKN), the Midwest Avian Data Center (MWADC) offers a secure, inexpensive data repository and decision support system hosted by non-profit institutions and backed by partnerships of many organizations. Nodes use state-of-the-art technologies, leveraging decades of experience from many ornithologists, ecologists and database managers to ensure the data are well-described and safely preserved. All data contributors become AKN partners. MWADC offers several useful tools to manage avian monitoring data (MyMWADC Data Management Application). These tools range from data entry to data verification and validation on the website to data analysis, visualization and reporting either online or using downloaded data. 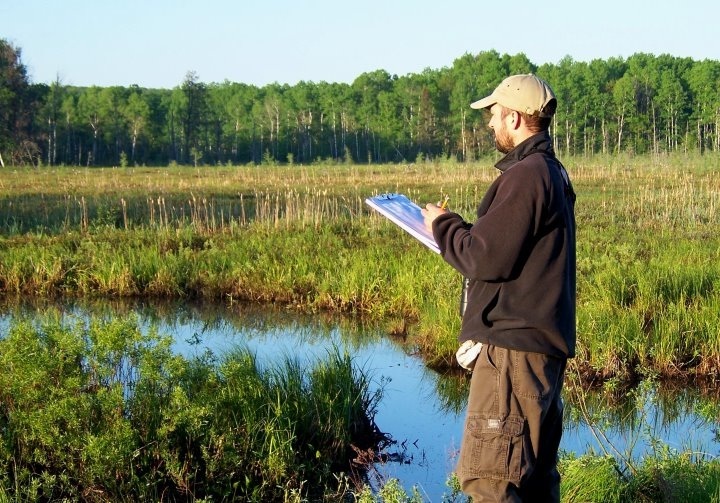 MWADC focuses on avian monitoring data (point-count, area search, distance sampling, transect sampling, nest success), as well as bird-banding and broad-scale citizen-based bird-surveillance data. Monitoring projects typically require a protocol to be in place before initiating the study. The protocol defines the design, scope and requirements of the project including the database requirements. Examples of bird monitoring protocols are available under the Resources tab on this website.